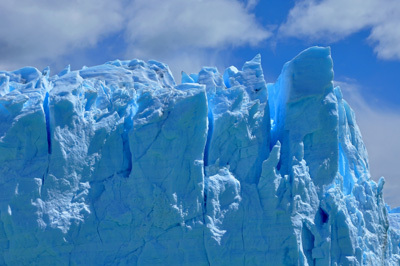 A study published Thursday in the journal Science links polar ice melt and rising sea levels. The pace of ice melt in Greenland and Antarctica has tripled over the past twenty years, according to a new study published in the journal Science on Thursday that confirms the link between polar ice sheet melting and rising sea levels. An international group of 47 satellite mapping experts compiled data from 50 ice-sheet loss estimates made in the last twenty years into a single report, which is now considered the most reliable study on the impact of ice melt and sea level rise. Global warming plays a key role in the trend. The study’s authors noted that the melted ice accounts for 20 percent of sea level rise in the past twenty years, but in the most recent years that figure has doubled. Thermal expansion of water accounts for the rest of the ice melt, caused by rising ocean temperatures. Greenland accounts for over two-thirds of the loss, with ice melting five times faster than the mid-1990’s, going from 55 billion tons a year to 290 billion tons. While Eastern Antarctica has added ice, in the last decade ice melt has increased by 50 percent, mostly occurring in Western Antarctica. Many of the experts contributing to the year-long study that concluded in July were authors behind the previous estimates on the subject, but different satellite measuring techniques led to disagreements in the estimates, making a confident claim about the rate of ice loss impossible. An accurate and reliable estimate of ice melt is important, especially for coastal areas where an additional six inches in sea level can translate into a major economic impact, as seen with Superstorm Sandy which blew through New York at high tide, resulting in historic flooding and billions of dollars in property damage. Greenland Ice Melt - Why is Extreme Phenomena so Worrisome? Subject: LongIsland.com - Your Name sent you Article details of "New Study Confirms Link Between Ice Melt and Rising Sea Levels"